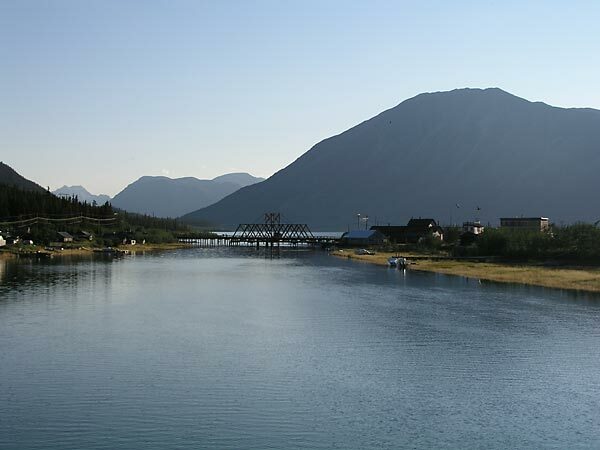 At the northern tip of Bennett Lake, on the old Klondike Gold Rush trail, lies the village of Carcross. It lies 74 km south of Whitehorse on the Klondike Highway and about 110 km north of Skagway, Alaska. The community of Carcross offers a Yukon Information Centre located in the White Pass train station. From carcross you can explore the area's waterways, trails and the tiny Carcross Desert with its shifting sand dunes and showy plants. Tagish is 30 km east of Carcross, on the Tagish Road at the northern end of Tagish Lake. Tagish features a community centre, playground, outdoor skating rink and library.